Although this has been a bumper year for James Bond, the most interesting spy fiction is tending towards historical settings, as can be seen in the work of Alan Furst and David Downing. Perhaps we just don't have the right calibre of villains we used to. This trend is boosted by the arrival of a new name on the scene, that of Aly Monroe with her first novel The Maze of Cadiz (John Murray, �.99) set in Franco's Spain in 1944 as the Second World War grinds to a close. The novel follows the first mission of trainee spy Peter Cotton sent to Cadiz to relieve the resident British agent who is reported to be acting strangely. Indeed he is and by the time Cotton gets to Cadiz, the resident is dead in very suspicious circumstances, even for a spy. 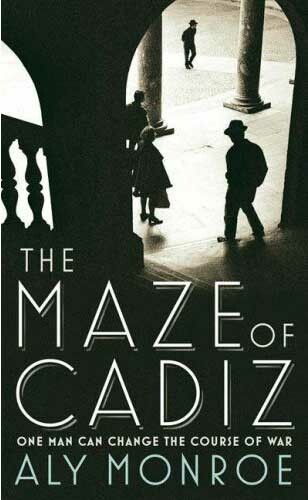 The Maze of Cadiz is a wonderfully atmospheric book, which not only illuminates the shadowy world of espionage but brilliantly evokes a Spain shattered by Civil War, shortages and poverty, and ruled by a Fascist dictator. So convincing is the portrait painted here that it is clear that Ms Monroe knows her Spain and her Spanish history, as well as some cunningly violent bits of agent 'tradecraft' including the deft use of a hat-pin! This is not a spy story crammed with car chases and explosions, but a tale of the more realistic, downbeat dangerous trivia of the clandestine life which is very convincingly done; so convincingly I was beginning to suspect that Ms Monroe may actually have been an agent in a previous life. I certainly suspect she is not a debut author as this is so well-written I have real trouble believing it is a first novel. 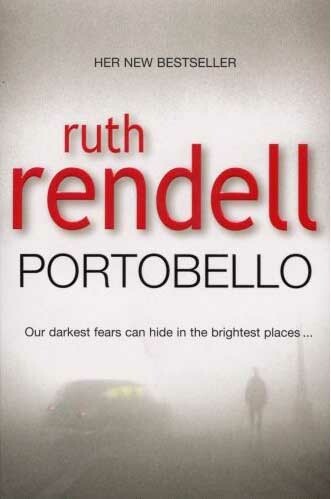 Ruth Rendell has a cold (some might say too cold), forensic eye for human foibles and weaknesses and in Portobello (Hutchinson, �.99) she puts the residents of that area of London under her personal microscope. It is almost as if she is describing a 'Notting Hill' which had turned to the dark side, for all the characters are pathetic, damaged, deranged or just downright nasty. This is far from a conventional 'whodunit?' and the crimes covered � assault, burglary, arson and manslaughter, are casually accepted as facts of urban life. What is fascinating is the cast of characters Rendell has assembled. All of them have secret compulsions and obsessions, some seemingly harmless; though Ruth Rendell's characters are rarely completely harmless. Portobello is a rather dystopian view of life in a modern west London populated by grotesques which Dickens would have recognised. It is not an uplifting or particularly exciting read, but it is certainly a hypnotic one. In a remarkably short literary career, Canadian policeman Chief Inspector Armand Gamache has established himself as a firm favourite among mystery fans. 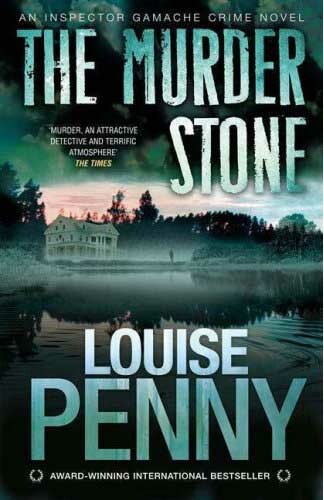 In his fourth outing, The Murder Stone (Headline, �.99) by Louise Penny, Gamache and his wife are off in the wilds of Quebec, ostensibly celebrating a their wedding anniversary at an isolated luxury hunting lodge which bears something of a passing resemblance to the haunted hotel in "The Shining". Even though there are no actual ghosts involved, the setting is distinctly Gothic, as is the inevitable murder and in particular the all-too-solid murder weapon. Chief Inspector Gamache is a gently amiable and very worthy hero and his wife Reine-Marie is a perfect foil (is there a homage to Inspector and Madame Maigret here?) and Louise Penny proves she is not just good at people, but is pretty adept at describing Canada's forests and lakes to the extent that you can almost smell the pure maple syrup coming off the page.